Come as early as 5:00pm and order dinner, they offer a complete menu or may a few appetizers…..! Starting at 5:30pm you’ll have the opportunity to purchase Deborah’s new book, “In The Presence of Proof, A Medium’s Guide to Heaven on Earth”, ($15.95 + tax = $17.25, cash only) and she’ll sign it for you! 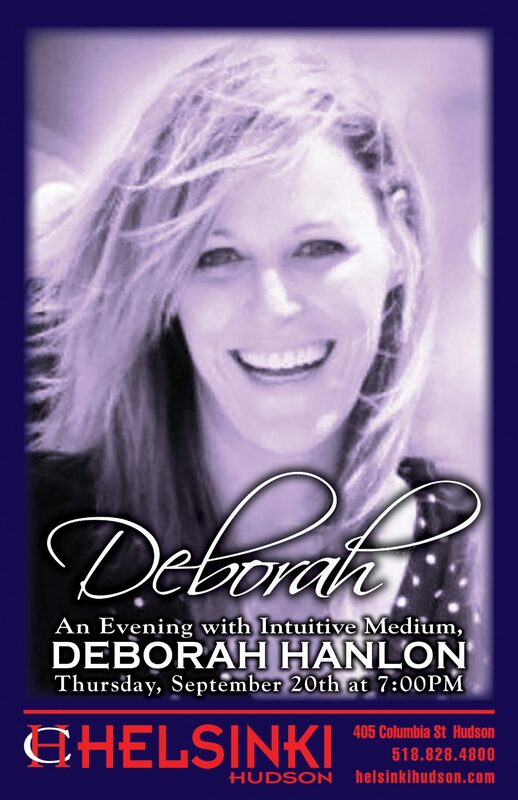 Come early, have some food, grab a drink, grab your seat and get ready for Deborah to join you from 7:00pm – 9:30pm. $35.00 in advance, to make your reservation, call 518-828-4800. $40.00 at the door. It’s a 21 and older event.